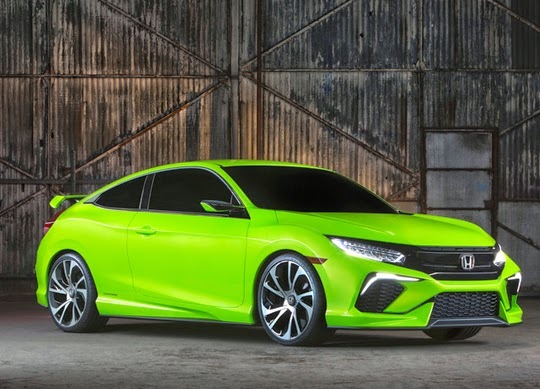 The report, which looks at how an automaker’s five-year plan will affect their profitability and market share, determined that Honda would be especially successful between now and 2019 because of all the major upgrades planned for the overwhelming majority of the brand’s nameplates. In fact, Honda will on average overhaul 24 percent of their models in each of the next four years, meaning by 2019 all but 4 percent of them will have been recently refreshed. That’s tops among all automakers during that span, and it’s a big reason that the “Car Wars” report believes Honda will see a much bigger market share by the end of the decade. It starts next model year, with the introduction of the 2016 Honda HR-V and the generational upgrades of the 2016 Honda Civic and 2016 Honda Pilot. Shortly thereafter, the Accord, Odyssey and CR-V will be given updates, which should send many a consumer to their local Honda dealership in San Diego, eager to see what changes have been applied. We’re thrilled with the results of this year’s “Car Wars” report, and can’t wait to see all these great plans put into action!